Whether your needs are related to web hosting, dedicated servers, VPS, or colocation services, we are the best choice that will provide you with the best service and support that is unsurpassed due to the great lengths that we go to make you are the number one priority. 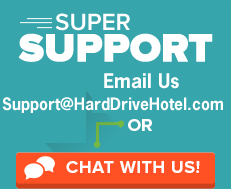 At HardDriveHotel, our technical support team is always available through phone, e-mail, and live chat to help you out whenever you need our support the most. 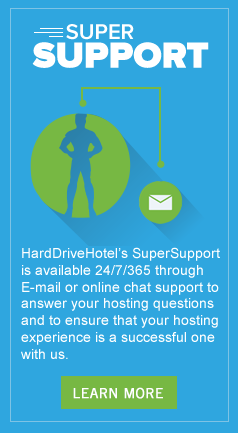 We strive to make sure that our customers are not intimidated by all of the confusion that technology can bring which is why we do our best to make sure that our customers not only understand what they are getting with HardDriveHotel but also feel confident with what we can provide to our customers. Our data centers are equipped with multiple layers of redundancy for all critical power, cooling, network and security systems with a minimum of N+1 redundancy to ensure that the guarantee that we make to our customers of 100% server uptime is a reality. What really sets us apart is the pride that we have in our commitment to providing "Super Support" to our customers. Any time you have a question, we are more than happy with providing our customers with the best solution possible in a timely manner. So why get lost and confused with the endless promises from other companies, when HardDriveHotel can provide you with the best solution for your technical needs matched with the best support for any of your technical questions.